Street Fighter V was announced not too long ago, much hype ensued from seeing Ryu and Chun-Li duke it out in the next iteration of the series. However, with the excitement of a brand new entry into the iconic fighting game series, one also has to ask which veteran characters will make it in for another go? Ryu and Chun-Li (Mr. and Mrs. Street Fighter) are a given, but anyone beyond that is honestly up for debate. This Top 5 Tuesday’s post is devoted to which returning characters I would like to appear in Street Fighter V.
Karin is Sakura’s biggest rival, they share a relationship similar to that of Asuka and Lili from the TEKKEN series. 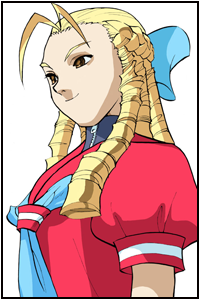 I have not seen this character since the Street Fighter Alpha days and would love for her to return. I love her personality and her fighting style, she would make a nice addition to the cast, especially since she is a fan favorite whom people wanted to return ever since CAPCOM announced Super Street Fighter IV. To be quite honest, I really did not play a lot of Street Fighter Alpha as I was not really into the Street Fighter series like that. 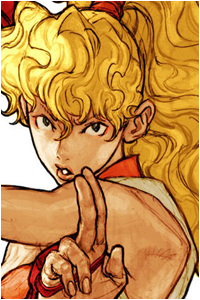 However, I have read a lot of the “Street Fighter Legends: Sakura” comics and have grown to love Karin as a character. Having the opportunity to finally play as her is something that I am looking forward to if that wish becomes a reality. Juri is one of the two new characters that were featured in Super Street Fighter IV, she even debuted in an anime movie featuring herself, Chun-Li, Guile, and Cammy as the main stars. She has a feng-shui engine placed within her eye that gives her enormous power, she works with Seth and his organization out of pure amusement. 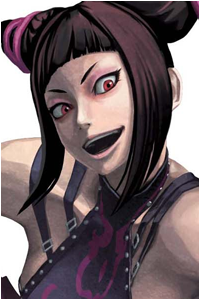 I like Juri because she is pretty psychotic, which is something I have always liked in characters (More so in female characters than their male counterparts). However, I never really picked her up because a girl I was really fond of main character was Juri during the days we played Super Street Fighter IV regularly. Now that me and her do not talk as much and since I know we probably will not play as often, I have no problem with picking this character up. 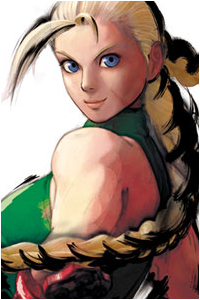 I really want her to be in Street Fighter V, I know she would do well within the game. Makoto was my main character during Super Street Fighter IV and Ultra Street Fighter IV. While she is not one of the characters I really like aesthetically, she fits my aggressive tendencies with her “In your face” play style. 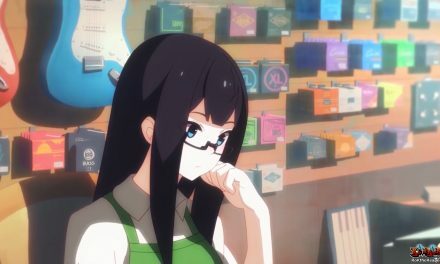 Rushing down and playing patiently is good with this character, she has a lot of risk/reward stuff, but can legitimately smash with good reads in USF4. I am hoping this character returns because I believe she has a chance for greatness, and she may very well do so since I have heard that Street Fighter V may take place after Street Fighter III as far as the story line is concerned. 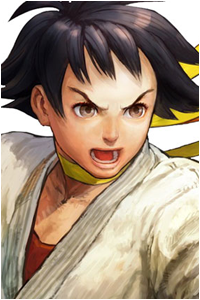 Only, I hope Makoto is shown as a slightly older in age, kind of around Sakura’s in Street Fighter IV. Maki is the relative of Guy, and I believe she has not been in a game since Capcom vs SNK 2. I really liked to use her during CvS2, and I have a fondness for her play style since Talim from Soul Calibur II gave me a love of tonfa wielders (Even if she does not really make them a main theme in some of her attacks). I really think that updated moves and a slightly newer outfit would really make Maki stand out if she made it into Street Fighter V. I really like how this character looks and feels, her attitude and game play style are phenomenal in my opinion, a favorite I would really like to get the chance to play again. No idea where she really fits inside of the Street Fighter story line, so maybe it is a chance she can be squeezed in somewhere. This woman needs no introduction, she is one of my beloved waifus and is a character whom I have adored over all of these years. I main Cammy in every single game she’s in, for better or for worse (With the exception of the later half of Super Street Fighter IV and Ultra Street Fighter IV since she was considered one of the best in the game, resulting in over usage). I feel like this woman is the best in the entire Street Fighter universe, but she has to constantly take a back seat to Chun-Li (kind of like how Ken has to take a back seat to Ryu), but she is one of the most iconic figures in the entire series. On a vote to see which character they wanted to be included in the original Street Fighter IV, Cammy won the fan vote and was put in. I am hoping something similar happens because, unless my girls is in, the will find me almost immediately losing interest in Street Fighter V.